John can retye your old broom! You can see examples here…..
Blacksmiths! You can see examples here…..
John wrote an article for Mother Earth News a while back. CLICK HERE to read it. 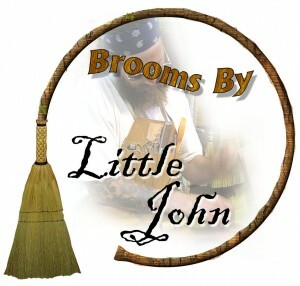 Little John makes fancy sweeper brooms, spirit brooms with a carved face, a spectrum of beautiful wisk brooms, cobwebbers, double brooms and much more! 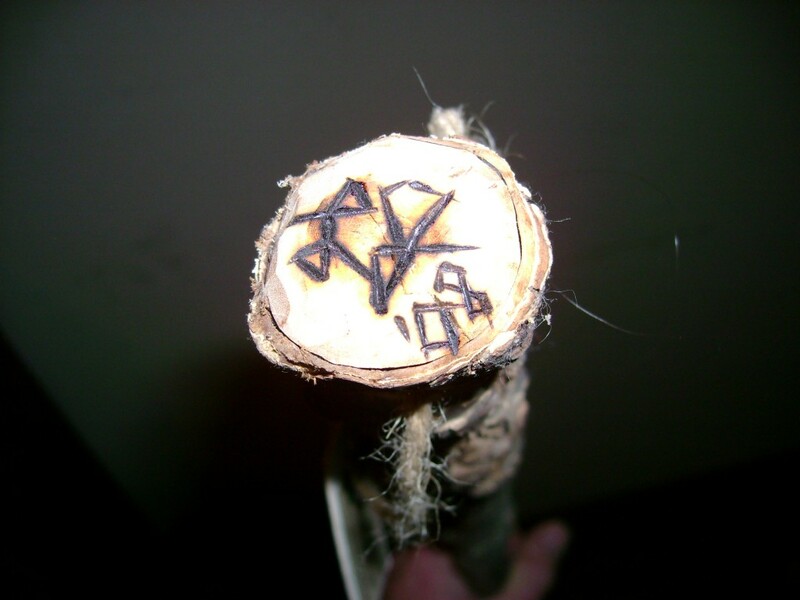 All handmade brooms with handles will have Little John’s mark so you’ll always know where it came from. Little John is based in Sheboygan, Wisconsin. Please note that long handled brooms have an oversize surcharge. All packages are sent through the US Postal Service and have this oversized surcharge calculated in the rate that you will see in the shopping cart. Unless you request insurance and/or confirmation of delivery this will not be provided. These services require an extra charge, and I will be happy to provide them and bill you, if you just let me know when you place your order. Orders to Alaska and Hawaii and may take longer to arrive. If you are in either of these locations and need expedited shipping please contact me directly to make arrangements. *Typical time frame for you to receive your handmade broom may be up to 3 weeks depending on availability, season, custom order, etc.